In this episode of “This Is Me Being Uncomfortable,” I mumble largely about writing, creativity, and the influence of life (and death) experience on how you see the world. In playing it back, this was easily the least uncomfortable episode to date. My little experiment seems to be working, but I’m still not changing the name of the podcast that’s not really a podcast, although it sorta kinda is, sorta. The love journal I mention in the show and in “The Way I Love You” is called Why I Love You. If you want to help financially support this blog (which means help me pay for hosting services), buy it using this link. You still pay the same price as you normally would. I just get a small piece of change for the referral. 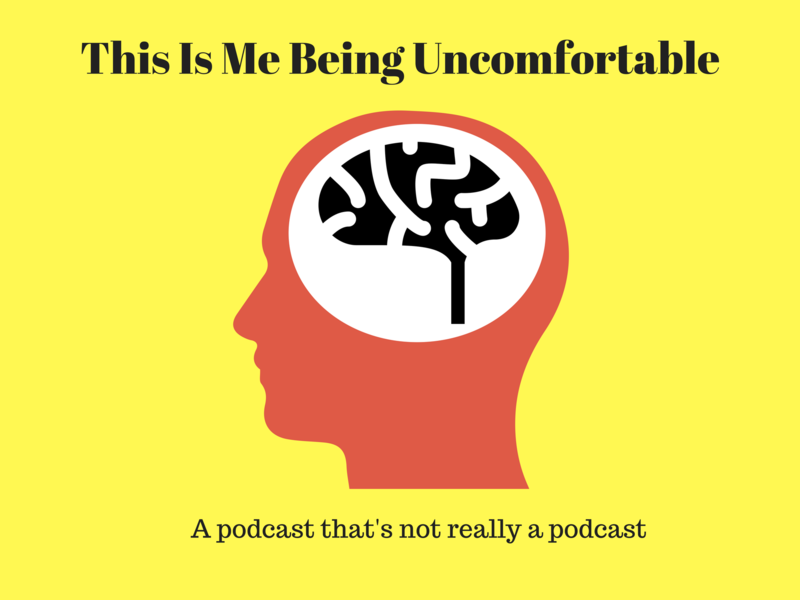 “This Is Me Being Uncomfortable” is a podcast that’s not really a podcast in which I talk unscripted into my iPhone and then upload the audio to my website on the Internet to torture unsuspecting listeners who don’t know any better. “This Is Me Being Uncomfortable” is a way for me to get my thoughts out of my head, and not always in written form. I’m fully aware that I don’t have the prettiest voice. You try being 6’4” tall from southern Virginia. Perhaps I should add some soft music in the background, eh? If you’d like me to talk about a certain topic (writing, anxiety, meditation, life, death, and/or everything in between), contact me. Hi, there! Thanks for reading. If you enjoyed what you just read consider sharing the link with a friend or family member, or start a conversation on Facebook or in the comments section below. Thank you for helping this blog grow and reach more readers.